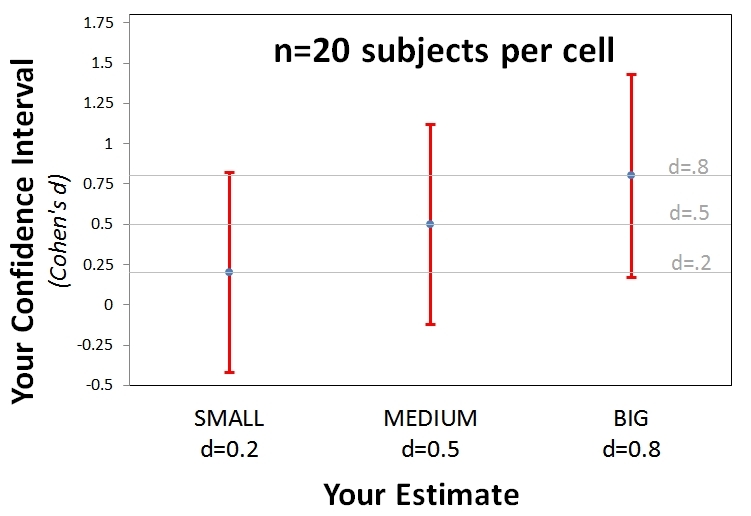 The median sample size in published studies in Psychology is about n=20 per cell.1 There have been many calls over the last few decades to report and discuss effect size in experiments. 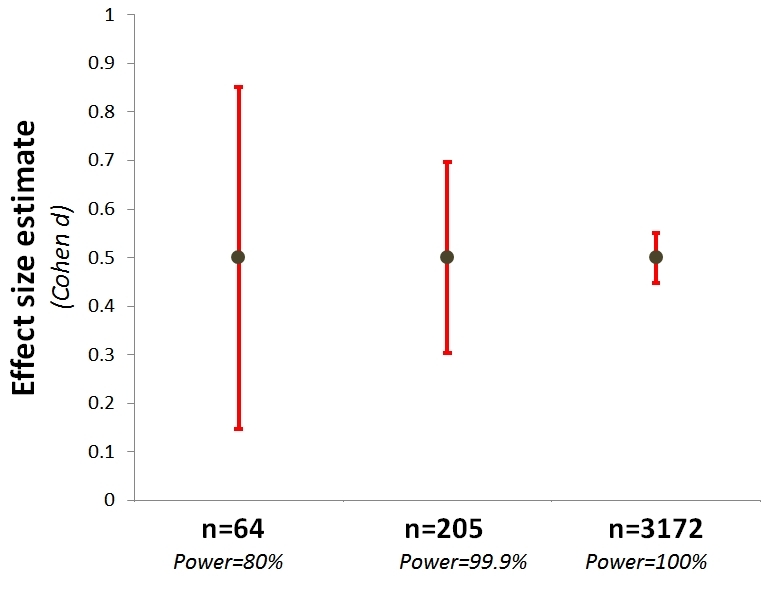 Does it make sense to push for effect size reporting when we run small samples? I don’t see how.